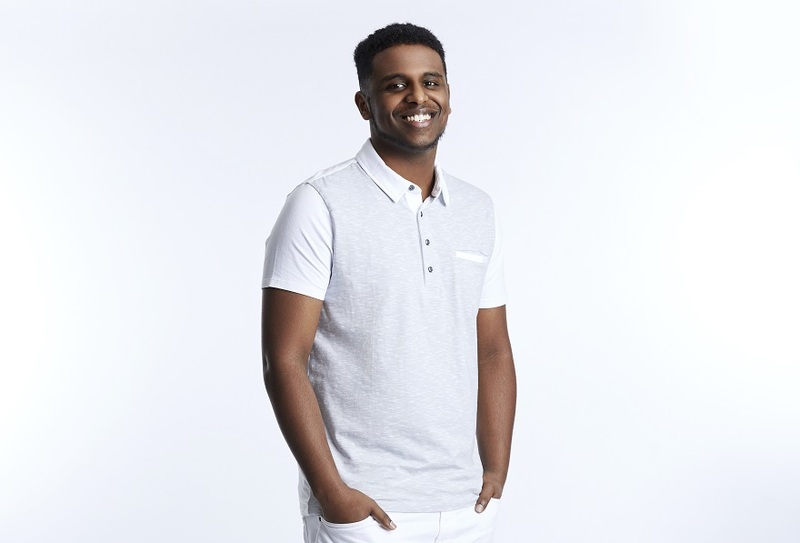 Merron Haile entered the Big Brother Canada house with quite a challenge this season — he started things off as a gate-crasher alongside Veronica, and following that he had to scramble to find a secure position in the house and some allies. He did that for a little while, but eventually, he found himself on the bottom of the numbers and that was enough to land him in some trouble. He went home on a 5-3 vote under Erica’s second HoH, and as you are going to read in our latest exit interview below, he seems to blame her more for his demise than anyone else in the game. CarterMatt – Who do you feel the most bitter to at the moment in the game? Merron Haile – I’m feeling the most bitter about Erica. Do you think that she put such a big on target on you the past few weeks that it made it impossible for you to evade it? 100%. She constantly put me on the block. She put me into this pawn position. Maybe people could have thought [I was], but she definitely forced me into that position. Do you think there was a part of it were people could’ve been threatened by you? I mean, you’re a likable guy and at some point it’s possible that you could have went on a competition run. I guess, but I don’t know if that’s what people were thinking. I think that I could’ve gone pretty far if I survived this week. This was a very bizarre week because it felt as though Ryan repeatedly shot himself in the foot and did things that should have gotten him in trouble. Is it almost like he’s stumbling into success, at least in the sense that nobody thinks he can win? I think it’s mostly just that he made it very obvious as to who he was going to gun for, as opposed to myself. They pretty much saw him like a shield. I would not be surprised if Ryan gets put up this week if he’s not HoH. How much of a disadvantage did you have coming into the game so late? It was hard to deal with that at first. I was sitting there being like ‘Big Brother, why did you do this to me? Why couldn’t you put me in with everyone else?’. It was very frustrating at first, but time heals everything so after a couple of weeks people were getting more comfortable with me and Veronica in the house. It wasn’t easy and sometimes, I just have to remind myself that the next day is going to be better than the day that you’re in. Did that change how you wanted to play going in? Would you have played a different game if you had been there day one? Yeah, for sure. My game would’ve come a lot more naturally to me. Because I came in on day 6, everything felt kind of forced and I really needed to build relationships with these people. It wasn’t as natural. I think things would’ve been very different and I would not be sitting here with you right now had I been there day one. Is it comforting in some ways that you got some votes and it wasn’t unanimous? Or, do you even care about that? The end result’s still the same. But, my votes were a little different because they just wanted Ryan out rather than wanting to keep me. Did Hamza’s departure change anything for you, at least socially in the game? Yeah. I didn’t realize how much time I spent with Hamza until he left. Then I was like ‘wow, I guess I really have to go talk with all of these boring people now.’ It was to my detriment, spending a lot of time with one person as opposed to not building relationships with others. Let’s say that you’re a time-traveler and Merron right now gets to go and talk to Merron waiting get into the house. What would you have told him to play an even better game? I probably would have told myself to be more aggressive and straightforward and don’t promise anybody anything. That’s what I’d go with. Did your knowledge of the game end up being an asset or a detriment, since you start comparing things to past seasons that you’ve seen? I think in the moment. I did watch last season and season 4, every episode, and it’s tough to relate this season to them. Every season is different and you just have to play with what you’re dealt with. What would’ve been your plans if you won the next Head of Household? I’m putting up Liv and Ali and backdooring Erica. If Erica gets picked and wins the Veto, I would push for Olivia to go home as a plan. Do you think that there’s a lot of people in the house feeling along the same lines as you about Erica? She has just killed so many competitions! Everybody in that house is salty. Nobody wants her to win anymore. It’s just like Erica, again? She’s starting to get all about herself with all of these wins and she needs to pipe down a little bit. People are noticing. I think that’s going to be really bad with her moving forward. Were you conscientious of how many competitions you wanted to win? Were there some you intentionally threw? (Laughs) Believe it or not, I didn’t throw anything! It may have seemed like it at times. I almost want to say that I did so it doesn’t look as bad. I felt like the one competition I was close to winning was the Double Eviction [Veto] that Ryan won. That comp wouldn’t have made much of a difference because if I won, I would’ve used it on myself, Hamza would’ve gone up, and Hamza then would’ve gone home. The outcome would’ve been the same, but the only difference would be that I would have a comp win under my belt. So as we’re starting to wrap up here, what’s the first thing you’re going to do when you’re back out in the real world? Call my family! I miss them so much. Once I actually get home and have a chance to talk with my family, I am going to sleep like a baby. That’s all I’m going to do. I’m going to sleep all day. Related – Check out other interviews from this season! Want to get some other news when it comes to Big Brother Canada?